I am serious slacking on this blog! I am sorry for this! Winter always has me falling asleep beside my heater earlier than I expected. I want to make it up to my readers by posting an upbeat song from the Mexican band Kabah who might chase the winter blues away. 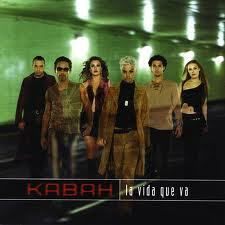 Kabah was formed in 1992 with six members: Maria José Loyola, René Ortiz Martinez, Federica Quijano Tapia, André Quijano Tapia, Daniela Magun and Sergio Ortiz O’Farril. They didn’t have much luck in the beginning as they were unsure about their musical style and had many unfortunate events that ended with crowds booing them off stage. However, luck changed in 1994 when they entered and won the talent show “Valores Juveniles”. They released their album, entitled “Kabah”, soon after. Although only containing four tracks, the album was popular among the younger listeners. Their second album “La Calle de las Sirenas”, is their most popular album to date as it sold over 2.5 million copies all over the world. The group sadly broke up in 2005 after releasing the acoustic greatest hits album “El Pop”. Some of the members went onto pursue solo careers in the entertainment industry. Maria José Loyola, or simply known as Josa, has released four albums, opened for Gwen Stefani’s “Sweet Escape” tour, and appeared on various shows. Federica Quijano Tapia went on to do some acting and modeling gigs, appearing in various media like “Penthouse” and “KIU”. Daniela Magun is a TV talk host while Sergio Ortiz O’Farril created his own solo project, named “Moroccoblu”. Though the members have went their separate ways, the members decided to reunite Kabah last year and are planning to do a tour this year. “Vivir Por Mi” comes from the band’s fifth studio album “La Vida Que Va”. This album is said to feature “a lighter sound”. However, I don’t really hear that with “Viviri Por Mi”, which is an upbeat, feel good song about life and growing up for yourself. Maybe it’s the beginning as the song starts out off with a mediocre pace. However, thanks partially to a key change, the song picks up steam as if it’s a dance song. What else is nice about the song is that the male members take lead vocals, which is really good for their range. My only wish is to understand what they are chanting in the beginning with the cool synthesized opening. My Spanish is really poor after years of neglecting to study it. If you are feeling down anytime, have the dance-y, positive “Vivir Por Mi” playing to cheer you up and remember you that you only live for yourself, don’t try to live for anyone else. lo que dejo y lo que encontraré. tengo que salir para vivir. I’m sorry if this feels like “90’s week” on ai love music. I didn’t mean for this to happen, I swear! I promise that I’ll write something that is a little more “up-to-date” tomorrow. But for today, let’s enjoy the mysterious melodies of Wanda. I don’t know much about Wanda since I began listening to them a few months ago. However, what I know is that they were a Mexican girl group with four members: Gaby, Karla, Daniela, Grisell and Dany. They formed around 1998 and had two hits, “Serás Tú” and “Cartas de Chica Misteriosa”. According to the blog poprush, the group just faded away a short time after their debut album release due to a lack of success as other (and more popular) girl groups premiered at the same time (Hey, that happened in the US and the UK with all those boybands!). 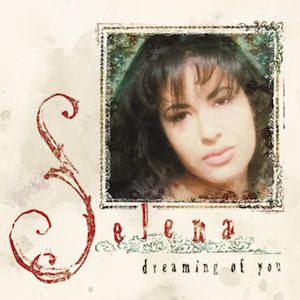 Growing up, I really didn’t listen to a lot of Latin Pop artists, If I did, most of what I listened to was stuff that was really popular on the radio and it wasn’t much. 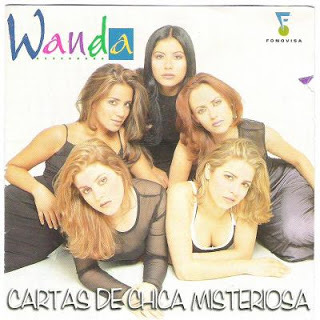 So,when I first listened to Wanda’s debut album “Cartas de Chica Misteriosa”, the experience was magical. Maybe because it was my first time listening to something from Mexico. Or maybe I was excited to hear what was pop music in Mexico like back “in the day”. Whatever the reason was, it was a pretty good reason because Cartas de Chica Misteriosa” is an exquisite album with many great songs, especially with “Sofia”. Like Troop’s “Spread my Wings”, “Sofia” has that special kind of charm from its soothing instrumentation and easy listening feel. However, I think the song’s real beauty comes from the vocals itself. The best part of the song lies in the pre-chorus and the ending with those gorgeous backing vocals. By the way, if you have more information about the groups or artists I mentioned, have any requests, or recommendation (I always love “new” finds), please feel free to comment.